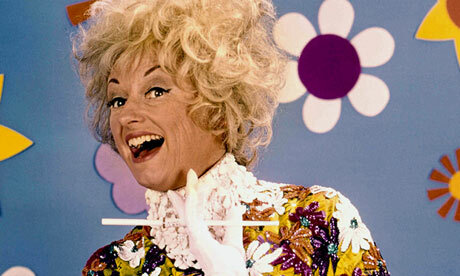 Phyllis Diller has died at the age of 95 in Los Angeles California. Diller died Monday, August 20 at her home. Diller paved the way for female stand-up comediennes when she took up comedy at the age of 37. She was born Phyllis Ava Driver in Lima, Ohio on July 17, 1917. Her mom Frances Ada Driver was born in 1881 and her father Perry Marcus Driver was born during the Civil War in 1862. She pursued a career as a pianist attending Sherwood Music Conservatory in Chicago for three years, but eventually gave up on a career as a musician. Diller launched her career in an unlikely place, the neighborhood laundromat as she told stories of her life at home and eventually was asked to do her comedy act at PTA meetings. When she made her comedy club debut in 1938 at the Purple Onion in San Francisco, her two-week engagement lasted a year-and-a-half. Phyllis Diller appearing on Ed Sullivan Show 43 years ago in 1969. She has appeared with 100 symphony orchestras across the United States as a guest piano soloist. Female comediennes today like Joan Rivers, Ellen Degeneres and others owe a debt of gratitude to Diller, since there were very few female stand-up comediennes when Diller hit the comedy circuit. Plastic surgery became another source for comedy material, after she had fifteen surgical procedures done according to her 2005 autobiography. Since Diller has been out of the spotlight for many years, we may have forgotten just how good of a comedienne that she was. The world has lost another voice of laughter, at a time when the world could use more laughter, instead of less. The Kardashian family franchise may be showing signs of crumbling in the last few months. First of all there was the backlash, after Kim Kardashian filed for divorce from NBA player Kris Humphries. There are questions now if their wedding was genuine or a made for television sham that had nothing to do with reality. Kourtney Kardashian is having a second baby born out-of-wedlock with Scott Dissick the father. That only shows a weakening of family values in American society, when a family with one child out-of-wedlock has another one on the way. Apparently Kourtney is still waiting for Dissick to prove his worth as a father for the children, but to me that should have been decided long ago. Of course Ryan Seacrest who produces Keeping Up With the Kardashians wants this kind of tension between Kourtney and Scott to continue, since drama drives ratings and the more drama the better for the E network. The relationship of Lamar Odom and his wife Khloe is being tested by the trade, that sent Odom to the Dallas Mavericks from the Los Angeles Lakers. Odom has not played well since joining the Mavericks and it could be that he is still incensed over being traded, so is not the player he was with the Lakers. He is too good of a player, to suddenly become a terrible player. Odom is earning over $8 million this season and will continue to be paid his salary. The situation can’t be helped by the filming of Khloe and Lamar. All the drama during the filming may make for good television, but it can’t be good for the relationship or for Odom’s basketball career. The situation became even worse last week when Odom was demoted to the developmental team but in the last 22 minutes that move has been rescinded. The same player who was voted the best sixth man in NBA last year is having a season to forget. A quick look at Odom’s percentage numbers this season compared to last season show badly he is playing this year. His field goal percentage has dropped from .530 last season to .357 this season. His free throw percentage fell from .675 to .577 and his scoring has almost been cut in half from 14.4 points per game last season to only 7.7 points per game this season. Meanwhile back to the lawsuit, it raises the question, of if celebrities who endorse products should be financially liable, if that product is not as advertised. Assuming that the Kardashians actually used QuickTrim, they should have some idea of whether it is a good product or not. If they knew it was not as advertised and continued to endorse it, then they may be liable. However, it may be impossible to prove in a courtroom, that they knowingly endorsed a less than effective product, while knowing that product was not worthy of their endorsement. One positive outcome from the suit is that it may warn celebrities, to really check out the products they are endorsing and not just assume they are as advertised. It will be interesting to follow the class action suit against the Kardashians, to see if they have to make restitution or whether they can emerge from the lawsuit, without having to pay anyone. There are plans for even more Kardashian spin-off shows on the E channel. It is surprising that people still watch these shows knowing there is very little reality involved in the so-called reality shows. Ryan Seacrest is getting richer and is making all the Kardashians richer from these shows. Maybe the Kardashian family will be more cognizant of the fans that buy the products they endorse and make more of an effort to insure that those products do what the Kardashians say they will do. Their world may not be crumbling, but there are signs of cracks in the foundation. Author Andrew GodfreyPosted on March 3, 2012 March 3, 2012 Categories Business, Entertainment, Family, Lawyer, Legal, Merchandise, News, Reality TV, Television, WomenTags Kardashians - QuickTrim2 Comments on World of Kardashians Crumbling? The pledge signed by many children and adults to abstain from drinking alcoholic beverages. Frances Willard died on February 17, 1898, which was 22 years before the 18th amendment, also known as the Volstead Act went into effect in 1920. She had a firsthand knowledge of the effects of alcohol, when her brother became an alcoholic in the 1860’s. 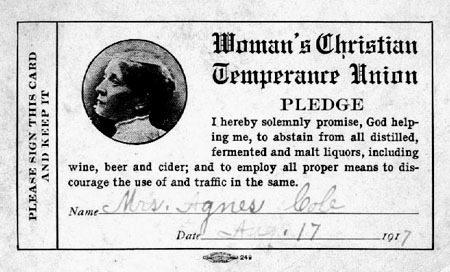 Willard would be one of the founders of the Women’s Christian Temperance Union in 1874 and then became the president of the worldwide WCTU in 1888. 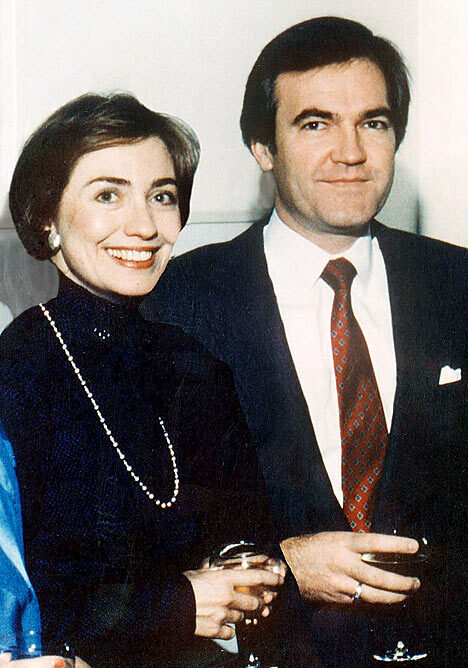 While concentrating mostly on her fight against the use of alcohol, Willard also became active in the fight against the international drug trading. Her life came to an end at the age of 58 due to being an influenza victim. However, she had laid the groundwork for both the 18th amendment, which would prohibit the use of alcohol in the United States and the 19th Amendment which also was known as the Women’s Suffrage amendment. Congress passed the Volstead Act (18th Amendment) on October 28, 1919, over-riding the veto of President Woodrow Wilson. 36 of the 50 states had ratified the 18th Amendment and went into effect on January 17, 1920. While prohibition was a good idea, it was almost impossible to enforce with 30,000 to 100,000 speakeasies, in New York City in 1925. A speakeasy could be closed in one location, then would pop up in another location, within days of last place being closed. The amendment was not only not being obeyed, but the U.S. government lost millions of dollars in tax revenue, while the bootleggers were keeping all the money for themselves and the speakeasy owners and patrons also avoided paying any tax. Al Capone's power was at its heights during Prohibition with him drawing $60 million in alcohol sales in 1927 and bribing politicians with his profits to keep his machine going. Organized crime saw that Prohibition would be a huge moneymaker for them and would deliver the alcohol and take payments, upon delivery of that alcohol, unless other arrangements had been made, prior to the delivery. Gangsters like Al Capone saw a chance to take their cut from the illicit alcohol sales. 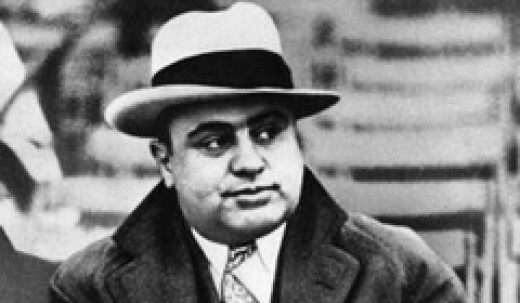 Capone raked in $60 million in alcohol sales in 1927. The same citizens that patronize legal bars, now flocked to speakeasies to drink their alcohol, which turned them into criminals. The magnitude of lawbreakers was too much for law enforcement to contend with. Women started drinking in larger numbers, than ever before. These speakeasy patrons from the Prohibition era don't look too concerned about being raided by law enforcement officials. We have seen videos of the Roaring 20’s, showing women dancing the Charleston and other dance of that era. Problem is that almost all of those women were violating the 18th amendment, but in the PBS series Prohibition, by Ken Burns, these women didn’t seem to be worried about being caught by law enforcement agencies. The main reason is that Americans who wanted to drink, found ways to purchase alcohol, whether it be from an individual selling from their home, from a speakeasy where alcohol was readily available and some resorted to making their own alcohol through the moonshining process. Moonshine stills being destroyed by law enforcement officials. The failure to prevent organized crime, from becoming involved in sale of bootleg alcohol, may have been one of the major reasons, that bootlegging operations were so successful, despite the bootleggers, sometimes only being neighbors supplying moonshine to their neighbors in rural America. Joseph Kennedy, the father of President John F. Kennedy and the patriarch of the Kennedy family, has been rumored for years to have gotten rich in the bootlegging industry. Frank Costello of the Mafia even testified that Joseph and him had been partners in the bootlegging industry. However, no concrete evidence of Kennedy being involved in bootlegging, has never been made public. Law enforcement officials could only pick and choose which speakeasies to close and what moonshine stills to destroy, but the problem was that there were thousands of criminals, violating the 18th amendment and there was not enough jails and prisons, to house all the violators. Prohibition ended when it was evident that there were millions of Americans, who were going willing to risk, although not a serious risk in most cases, going to jail, rather than stop drinking. 1) Genesis 9:20-26 – Noah became drunk; the result was immorality and family trouble. 3) Leviticus 10:9-11 – God commanded priests not to drink so that they could tell the difference between the holy and the unholy. 6) Deuteronomy 29:5-6 – God gave no grape juice to Israel nor did they have intoxicating drink in the wilderness. 10) 1 Samuel 25:32-38 – Nabal died after a drunken spree. 11) 2 Samuel 11:13 – By getting Uriah drunk, David hoped to cover his sin. 12) 2 Samuel 13:28-29 – Amnon was drunk when he was killed. 14) 1 Kings 20:12-21 – Ben-Hadad and 32 other kings were drinking when they were attacked and defeated by the Israelites. 17) Proverbs 4:17 – Alcoholic drink is called the wine of violence. 18) Proverbs 20:1 – Wine is a mocker, strong drink is raging. 20) Proverbs 23:21 – Drunkenness causes poverty. 21) Proverbs 23:29-30 – Drinking causes woe, sorrow, fighting, babbling, wounds without cause and red eyes. 22) Proverbs 23:31 – God instructs not to look at intoxicating drinks. 23) Proverbs 23:32 – Alcoholic drinks bite like a serpent, sting like an adder. 24) Proverbs 23:33 – Alcohol causes the drinker to have strange and adulterous thoughts, produces wilfulness, and prevents reformation. Jackie Kennedy with President John F. Kennedy in background. Jackie Kennedy reveals in the book “Jacqueline Kennedy: Historic Conversations on Life with John F. Kennedy,” that she wanted to die with her husband, President John F. Kennedy during the Cuban missile crisis of October 1962. She said she would rather die with him, than to leave Washington for safety. It was clear that Jackie was a devoted wife and mother, since she would rather the family die together, than being separated at death. Her statement also reflects the seriousness of the situation, during the Cuban missile crisis. Crisis is the right word, since nobody knew how the crisis would end, until Russian leader Nikita Khrushchev ordered the missiles dismantled and returned to Russia. The 400 page book published by Hyperion will be released on Wednesday, September 14 along with a 8 CD set of audio discs.It is already #4 in sales at Amazon, two days prior to the release. 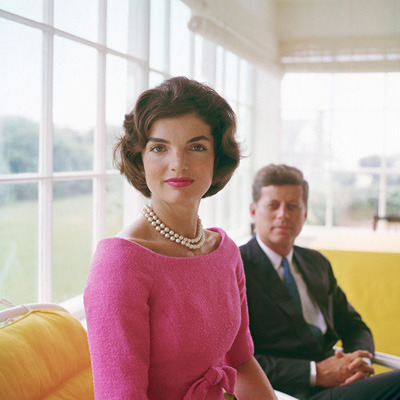 Arthur M. Schlesinger Jr. conducted the interviews with Jackie, starting in March of 1964, just a few months after the assassination of her husband. The taped interviews weren’t to be released for many more years. However, Caroline Kennedy, gave her consent for them to be published, in connection with this year being 50 years. since President Kennedy took office. One of the revelations during the interviews, was that Jackie considered Martin Luther King a phony, since surveillance caught him contacting women for dates. Charles DeGaulle, the French president: “That egomaniac”. It was quotes like the last one, that prompted these interviews to be kept secret for 47 years. Not surprisingly, there is no mention of the assassination or any extramarital affairs, that her husband was involved in. Jackie does reveal that her husband shed tears, over the Cuban missile crisis. That is only natural, considering the magnitude of the crisis, that could have ended in a nuclear war, but instead ended with the removal of the missiles from Cuba. These tapes let you hear in Jackie’s own words what it was like during the Cuban missile crisis, telling how she convinced her husband the president to not send her to a safe place. This book should sell well with the enormity, of the curiosity of both fans of Jackie and her husband the president, but also should receive interest from their enemies who may be mentioned in the book. Jackie Kennedy, however transcends partisan politics and this book should interest those,of all political persuasions. Did Nancy Grace Go Overboard After Casey Anthony Verdict? Nancy Grace: Covered Casey Anthony trial for HLN. It seemed like to me that Nancy Grace went overboard with her criticism of the not guilty verdict in the Casey Anthony trial. I can understand her disappointment in knowing that Casey Anthony who probably did kill her daughter Caylee is going to walk free, maybe as early as this week. However, the American justice system still specifies that a juror must not vote guilty if there is a reasonable doubt. There was more than enough reasonable doubt to not send Casey Anthony to her death. The prosecution erred in asking for death penalty, given the fact that there was no slam dunk evidence presented to the jury. If the prosecution had asked for a life sentence, the jury may have even come back with a guilty verdict. The jury simply did not have enough concrete evidence to support a death penalty. If the jury had rendered a guilty verdict and a death sentence was given and carried out, there would be no recourse, if it later became known that Ms. Anthony had not committed the crime. The reaction of Nancy Grace to the verdict went way overboard in my opinion. It was like she was waging a personal vendetta against Casey Anthony. I can understand why she would emphasize that Caylee Anthony’s killer went unpunished. The one thing both sides can agree on is that Caylee Anthony is dead. It didn’t take long yesterday to tire of hearing Grace call Casey tot mom. She has a name and it is Casey, not tot mom. When Graces says tot mom, it has a derogatory sound to it. It is one thing to want justice for a murderer. However, it is another thing to want justice so much that someone like Nancy Grace would send Casey Anthony to death row, with no fingerprints or DNA linking Casey to the crime. Grace may be correct in saying that Casey’s lies may have led to the not guilty verdict by the jury. If she had told the truth to the detectives, she would likely either be on death row now or serving a life sentence. The Miranda law says Casey had the right to remain silent, but by lying she may receive a four-year sentence, instead of the death penalty or a life sentence. There was an abundance of circumstantial evidence presented during the trial by the prosecution. However, you can’t send someone to their death on circumstantial evidence. except for Dr. Drew saying that the prosecution did not prove motive, which I don’t think Grace agreed with. A professional reporter and legal analyst like Grace are entitled to their opinion, but yesterday we think the professionalism gave way to a personal vendetta by Grace, against Casey Anthony. Personally, I think the jury made the correct verdict, when considering the physical evidence didn’t link Casey to the crime. If one person is sent to death row because of circumstantial evidence, it is one person too many. The following polls ask if the jury made the correct decision and if Nancy Grace went overboard with her comments after the verdict. Author Andrew GodfreyPosted on July 6, 2011 July 7, 2011 Categories Crime, Detective, Family, Government, Lawyer, Legal, News, Poll, Television, WomenTags Nancy Grace - Casey Anthony Trial7 Comments on Did Nancy Grace Go Overboard After Casey Anthony Verdict?